Last week, Kaskade bestowed some hope upon his fans that his intimate Redux show would be returning to EDC Las Vegas for 2016. When a fan Tweeted at the veteran producer asking about the possibility of a Redux show this year, Kaskade teased that he would try to work something out. Now it appears there is official confirmation regarding the show from the producer’s team. 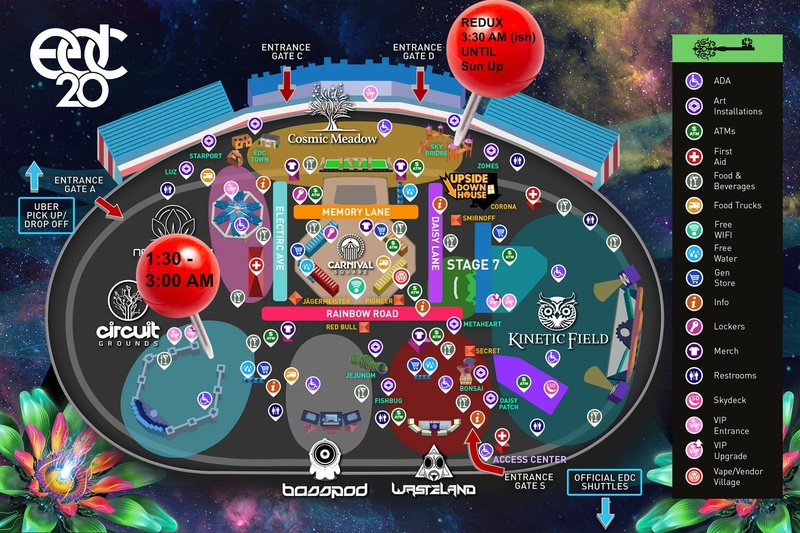 A screenshot of a text from a Kaskade spokesperson was posted on an EDC subreddit, revealing that this year’s Redux will be held at the “Sky Bridge” around 3:30 am, following his set on the Circuit Grounds. Redux will then run through the night until sun up. Kaskade himself took to Twitter to confirm the Redux show, so fans can count on the information and map above to find their way to the renowned intimate set. If you’re at EDC Las Vegas this weekend, you won’t want to miss the chance to see what all the fuss is about.